[http://www. dianglassagency. 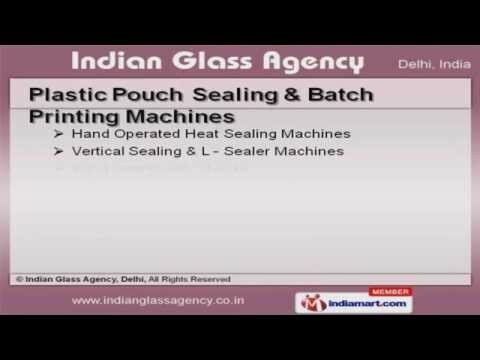 co. /] Welcome to Indian Glass AgencyManufacturer & Exporter of Sealg, Wrappg and Fillg MachesThe company was established the year 1936. Our Robust frastructure & excellentlogistics help us to cater East Asia & Middle East. Dabar & Bhandari Homeopathic are some of our prestigious clients and we are backedby Economical pricg & Quick delivery system. We offer a huge gamut of Wrappg, Nitrogen Flushg & Sealg Maches. Our Wrappg & Fillg Maches are widely acclaimed the market. Plastic Pouch Sealg & Batch Prtg Maches offered by us are a class apart. Our Alumunium Foil Sealg Mache & Industrial Mixers are superior performance. We also provide Nitrogen Flushg & Sealg Maches that are available at dustryleadg prices. Along with that we offer Packagg & Sealg Maches that are nothg but the bestsolution for all your needs. For more formation log on at: http://www. dianglassagency. co.